LEWIS SPRING HOUSE was constructed in Tallahassee in 1954 under the direction of Mr. Wright’s associate, Nils M. Schweizer, for Clifton and George Lewis II, who raised their four children at Lewis Spring House. Mr. Schweizer’s son Kevin Schweizer is supervising the stabilization, restoration and completion of this historic architectural jewel. Kevin, like his father before him, makes the trip from Central Florida to Tallahassee, to meet with community leaders in historic preservation, local government, education, interested members of the community, and contractors. Florida Southern College has the largest collection of Frank Lloyd Wright-designed buildings in the world. It has recently been recognized as a National Historic Landmark, an important designation to achieve. Florida Southern College www.flsouthern.edu is where Clifton and George Lewis II met Frank Lloyd Wright in 1950, and asked him if he would design a home for them and their four children. The Frank Lloyd Wright Building Conservancy, (www.savewright.org) an international preservation organization, is based in Chicago, Illinois. 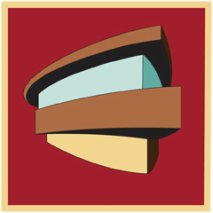 Founded in 1989, its mission is to facilitate the preservation and maintenance of the remaining structures designed by Frank Lloyd Wright through education, advocacy, preservation easements and technical services. CENTRALFLORIDAMODERN.com is part of the Nils M. Schweizer Fellows; a non profit corporation, named after the prominent Central Florida architect, with a goal to promote awareness and seek the preservation of Central Florida's exceptional mid-century modern architecture. CFL - NMS Fellows was instrumental in inspiring Spring House Institute with a trip to Auldbrass, Frank Lloyd Wright's plantation in South Carolina. They helped SHI get started on our website, sent many members who participated at our 1st Workday, and continue to encourage us in our endeavor. We have Many FOSH among NMSFellows members. "Keast & Hood (www.keasthood.com) is a structural engineering firm founded in 1953. Over the course of its history, the firm has earned a reputation for committed client service and high quality, technically astute engineering. In addition to structural design for new buildings, the firm is a nationally recognized leader in building diagnostics and the preservation, restoration, and rehabilitation of historic structures. Keast & Hood has helped establish standards for the evaluation and repair of buildings, including early involvement with the Secretary of the Interior’s Standards for Historic Preservation, ASCE 11-90 “Guidelines for Structural Condition Assessment of Existing Buildings,” SEI/ASCE 30-00 “Guideline for Condition Assessment of the Building Envelope,” and Philadelphia Bill 090568-AAA, PM 304.10, “Periodic Inspection of Exterior Walls and Appurtenances of Buildings,” (Philadelphia Facade Inspection Ordinance). Clients: Architects, owners, institutions, government agencies."